How do you handle the airport and parking? We live near a pretty good sized airport here in Orlando, so we have the option of lots of parking facilities that aren’t the airport. So how do you choose? Which one is the best? The safest? The decision for us was pretty simple, choose the parking facility with the most recognizable van – a bright yellow one covered in spots. That way when we get back to our home airport, we can spot the shuttle from a mile away, and don’t have to walk by a dozen white vans, trying to remember who we used. I’m pretty happy we found the parking spot. They have incredible prices. We always use the covered parking, and they have the best deals. The staff is always friendly and courteous, and the vans are always clean and comfortable. 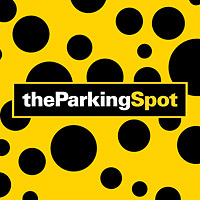 The Parking Spot is offering a limited-time promotion, Nationwide (at select locations – only excluding Newark and Orlando),15% OFF PARKING at The Parking Spot for guests, now through Labor Day. And if your in Orlando (like me) Just show them your spots! Bring in a bag, scarf, drawing your kid did, they don’t care. Just be creative! Then get airport parking for just $5.95 a day in Orlando! I wish we had one of these in Raleigh. We have used this lot plenty of times! It’s great. Great tip for traveling, this totally sounds like the way to go when you are in Florida! Good to know, thanks Angie! I love that it’s only 5-7 minutes away, I’m usually running late when I’m traveling via MCO.